Monday, January 28th, Anthony will be speaking at Inman Connect New York at their Indie Broker Summit about providing agents leads, training them, holding them accountable and scaling up. Anthony gave a similar speech two months ago at the National Association of Realtors annual event in Boston where his speech was highly rated a 4.97 on a 1-5 scale. This speech will be more geared toward Indie Brokerages who he says are even more able to implement programs like this. He will explain the good and the bad with getting it off the ground and more. Anthony has attended Inman in New York for the last 5 years in a row and says it is a cannot miss event. This year he will be on stage for 3 portions of the conference. In addition to speaking at the Indie summit and he will also be on stage at CEO connect at Carnegie Hall talking about the companies new Offer Now Program (also known as an iBuyer Program). He will also be featured as a speaker for the Broker Connect portion of the meeting at the Marriott Marquis in Times Square. Anthony spoke at the Indie Summit last year along with a fellow Indie broker owner. 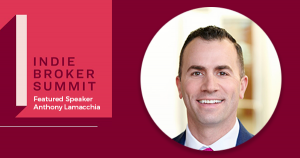 He was also on stage in San Francisco this past July talking about various aspects of Lamacchia Realty and where he thinks the industry is going. He is known for his “tell it like it is” style and the crowd is always engaged and learning when he is on stage. In addition to operating Lamacchia Realty Anthony also offers his trainings nationally to other brokerages. He posts videos on a weekly basis on a Facebook page called Crush it in Real Estate where agents across the country can learn new skills and techniques for free! Over the last few years Anthony has become a sought-after speaker for several events across the country. 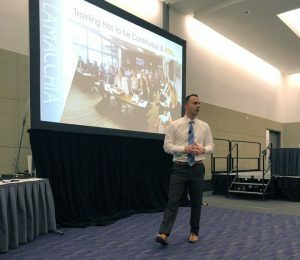 If you would like more information on the trainings or speaking engagements, please email Anthony’s team at info@crushitinre.com or call (781)786.2422.